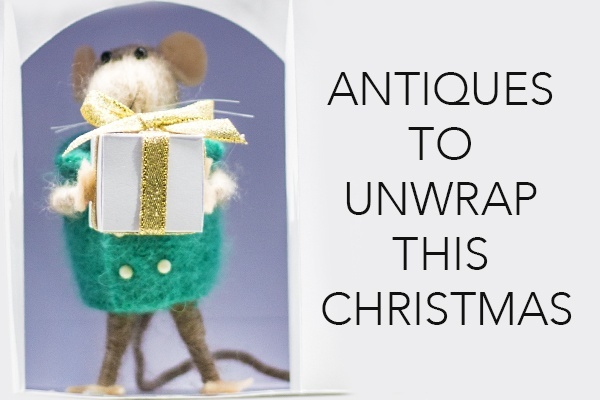 With Christmas fast approaching, there’s no better time to start looking for a unique gift. Whether you’re after something for yourself or a loved one, Gerard McCabe has a variety of breathtaking options. Our Antique & Period Collection offers a range of one-of-a-kind gifts, each carrying the sentiment and history of generations ago. This beautiful Antique bracelet features four hearts each hand-engraved, with this intricate detailing throughout the hollow curb-style. 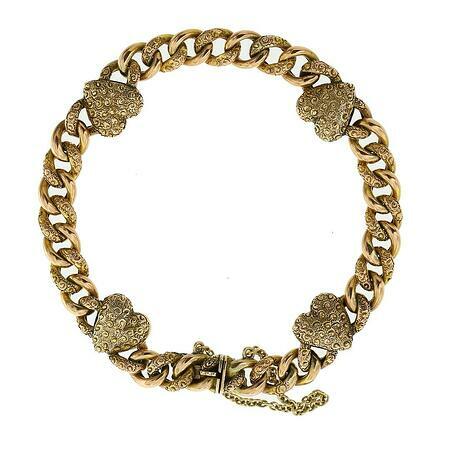 Spoil the love of your life with this magnificent bracelet, or add it to your collection of Antique jewellery. Circa 1900-10. 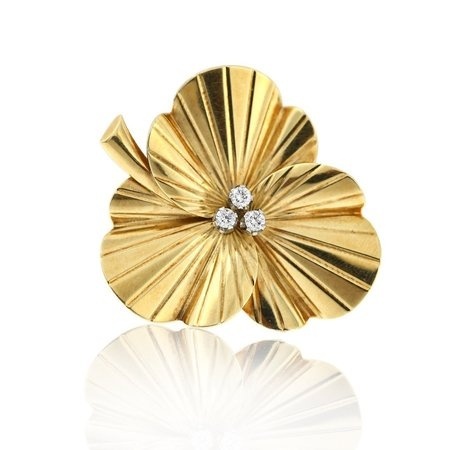 A statement piece in itself, this "shamrock" style brooch features a three dimensional deeply grooved and polished three section. As brooches come back in fashion, there's never been a better time to indulge in a quality creation. Learn more about how to pull off a brooch here. Add a little colour to your Christmas attire with this beautiful Antique Negligee Pendant. 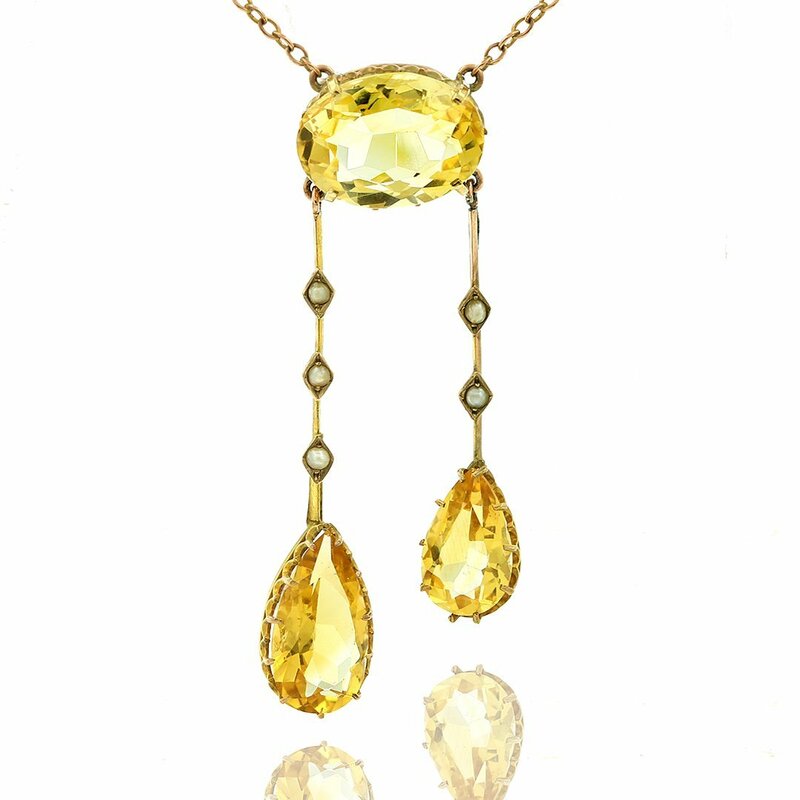 Featuring citrine gemstones and pearls, the pendant sits gracefully, moving elegantly with the wearer. Circa 1900, this pendant was crafted by Johnson & Simsonsen Pty Ltd, Little Collins Street, Melbourne. 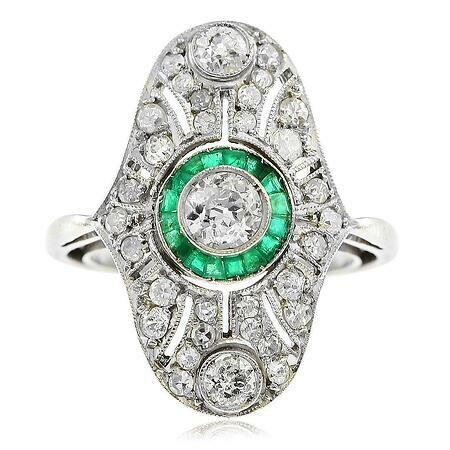 Take her breath away with this magnificent Art Deco Diamond & Emerald Ring. Crafted in platinum, this creation is a true testament to the era. Featuring an array of diamonds and emeralds, this ring is spectacular from every angle. Quintessentially Art Deco, there is nothing subtle about this elegant and enchanting ring.